Although troubleshooting a ChIP-Seq experiment can be tricky at times, there are certain aspects of the ChIP procedure that should be of focus when trying to achieve optimal results. Focusing on these areas of the chromatin IP experiment can help a researcher set their ChIP-seq study up for success and, ultimately, publication. The ChIP antibody must be specific and sensitive enough. Testing your antibody with a Western Blot prior to the experiment is helpful, but this will not always be an accurate measurement of whether an antibody will perform well in ChIP. 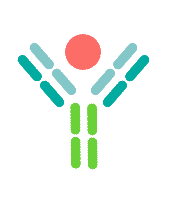 The only way to determine if an antibody will be successful for ChIP and ChIP-Seq is to complete a ChIP assay or use a commercially available ChIP Antibody Validation Kit. Some suppliers’ A/G beads do not provide the cleanest results in the non-specific control, and it is crucial to buy A/G beads that will be highly efficient for your ChIP assay. It is advised to research products in advance and choose the optimal one for your assay.